Have you ever had a case of the "Mondays"? Well, the perfectly-timed image release of Inside Out's aptly blue colored emotion, Sadness, was released via Mashable today. We knew the characters were made of particulate matter but as we get more high resolution looks at this movie, we're absolutely loving the details. 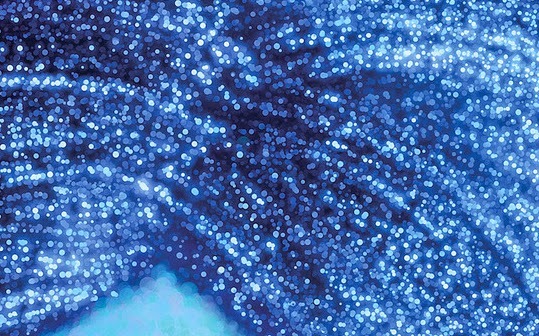 As usual, Pixar is outdoing themselves again - if you look closely at Sadness' hair (shown below) the glittery glow is a beautiful conglomerate of dots in shades of indigo. 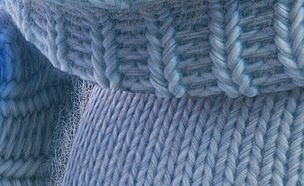 Similarly, the "sweater fuzz" is so wonderfully close to life you can imagine the softness of the threads. Pixar also uploaded a brief video of Sadness walking onto the screen in a sullen manner. If you are familiar with the first Inside Out teaser trailer, you'll notice that this isn't a new clip of Saddness though as this was shown at the close of the trailer. UPDATED November 18: The remaining four character profile posters have been revealed.